>The Weblogic embedded LDAP server contains user, group, group membership, security role, security policy, and credential map information. 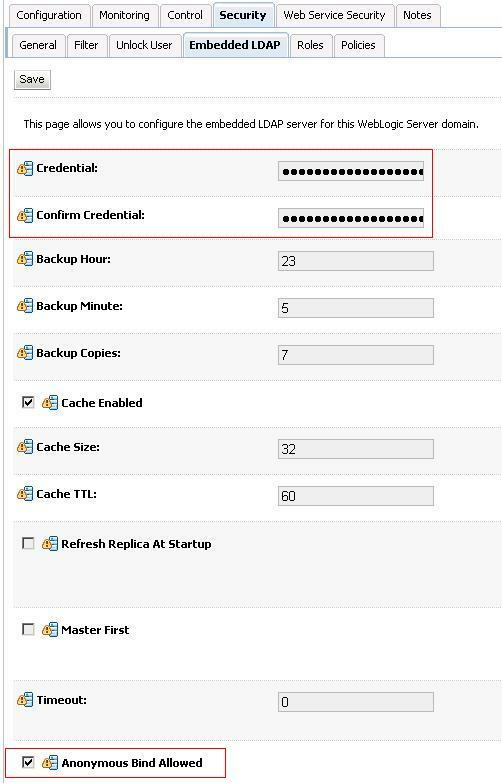 By default, each WebLogic Server domain has an embedded LDAP server configured. The WebLogic Authentication, Authorization, Credential Mapping, and Role Mapping providers use the embedded LDAP server as their database. When you want to view/edit the embedded LDAP the default Weblogic console and WLST are not always handy so you might want to use an LDAP client tool as JXplorer. 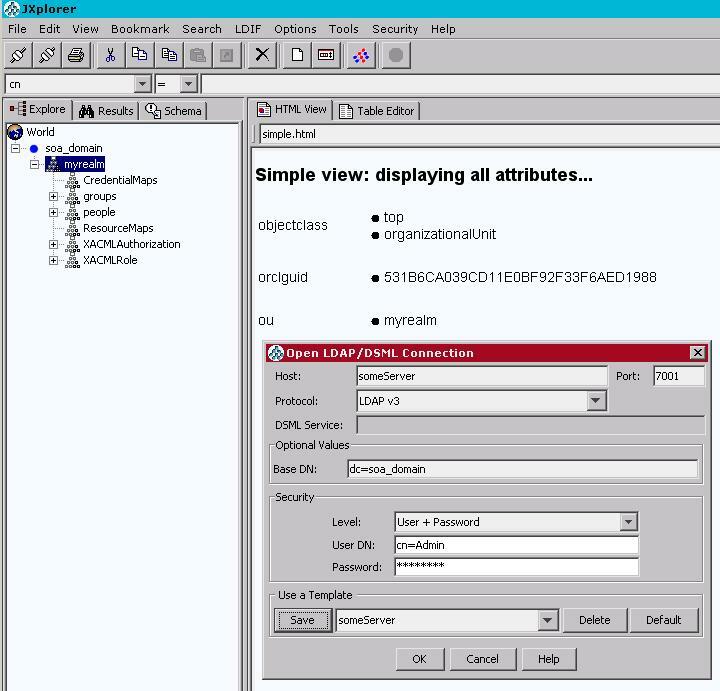 With JXplorer the following configuration let’s you connect to your Weblogic Embedded LDAP. You can now easy navigate your LDAP and use JXplorers features to quickly export and import LDIF configurations.